While walking through the NAMM convention, one of the biggest standouts of the weekend for us was the fact that Apogee was releasing their new MiC+ USB microphone, an upgrade from one of our favorite USB mics of all time. 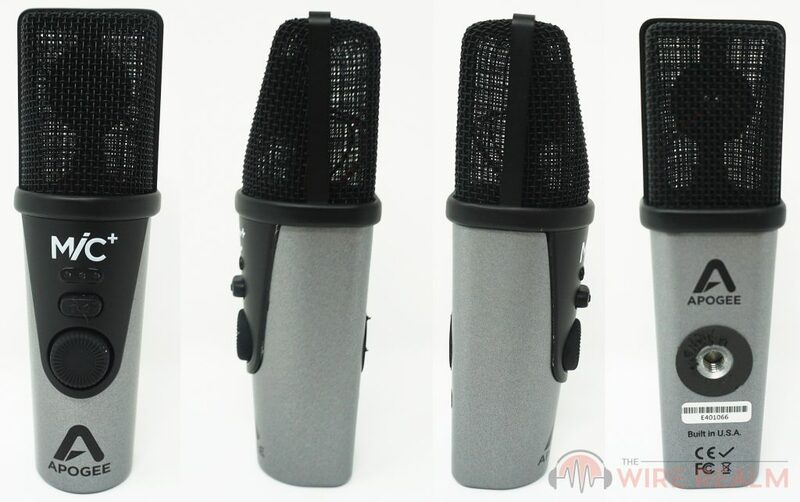 We were given a MiC+ to provide a fair and honest review here today, and we wanted to give this a go when it comes to not only extensive use but to test its effectiveness in different recording environments as well. One of the best standouts of this USB mic (and including their previous model) is the overall sound quality, in particular the internal technology that helps provide its beautiful audio resolution. Coming in at a hefty and raw resolution of up to 24-bit/96 kHz with technology called ‘PureDIGITAL connection’ that combines internal converters and preamp, this is a lot higher-end and clearer sounding than most USB microphones in the world, especially in this price-point. Let’s get into the details.